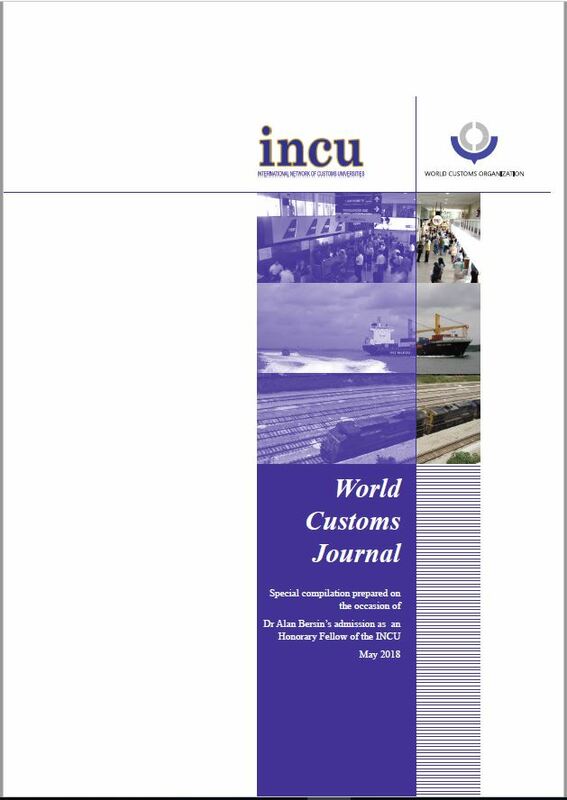 This download is a PDF of a Special Compilation of the World Customs Journal prepared on the occasion of Dr Alan Bersin’s admission as an Honorary Fellow of the INCU. This special compilation contains a paper by Dr Alan D. Bersin titled ‘Lines and Flows: The Beginning and End of Borders’ and Addendum I published in the March 2012 and September 2014 issues of the World Customs Journal respectively, and Spanish and Russian translations of these two publications. Alan D Bersin 2012, ‘Lines and flows: the beginning and end of borders’, World Customs Journal, vol. 6, no. 1, pp. 115-26. Alan D. Bersin 2014, ‘Lines and flows: the beginning and end of borders: Addendum I’, World Customs Journal, vol. 8, no.2, pp. 97-99. Translated by: Socorro Regino, María Gabriela Carrillo, Enrique Carrillo, Carlos Carrillo and Enrique Carrillo. Alan D Bersin 2012, ‘Líneas y Flujos: El Principio y Fin de las Fronteras’ World Customs Journal, vol. 6, no. 1, pp. 115-26. Alan D. Bersin 2014, ‘Líneas y Flujos: El Principio y Fin de las Fronteras: Apéndice 1’, World Customs Journal, vol. 8, no.2, pp. 97-99. Алан Д. Берсин 2012, ‘Линии и потоки: начало и конец границ’, World Customs Journal, vol. 6, no. 1, pp. 115-26. Алан Д. Берсин 2014, ‘Линии и потоки: начало и конец границ: Приложение I’, World Customs Journal, vol. 8, no.2, pp. 97-99.